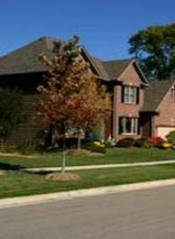 We know you have many choices of agents and companies to use in the real estate business. In a constantly changing real estate market, you need a professional you can trust to guide you through the process. At Weichert Realtors Kingsland Properties, our team treats each transaction as if it were our own. We will give you our honest professional opinion, caring more about your real needs than our bottom line. Home is more than a roof over your head, it's a foundation under your feet. Home is where you will lay your head each night, rest and play on the weekends, and make memories each day that will last for a lifetime. With this understanding, Weichert Realtors Kingsland Properties offers a wide range of services to assist you throughout your personal home buying process. Finding a home that meets your needs, getting the financing to purchase the home, inspecting your new home, obtaining information about the neighborhood, setting up utilities, packing up, and moving can seem like a large burden. Weichert Realtors Kingsland Properties takes the worry out of buying a home by assisting you in all areas of the home buying process, and answering your questions every step of the way. One of our favorite things is to tell our clients, "Welcome Home." 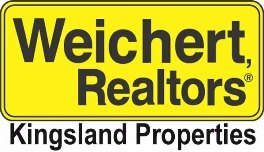 Contact Weichert Realtors Kingsland Properties Today! Marketing your home takes a professional who is up to speed with the ever-changing real estate market. From preparing your home for showings, analyzing market prices and exposing your home to potential buyers, Weichert Realtors Kingsland Properties will create a personal marketing plan for your home using the best methods including internet advertising. Let Weichert Realtors Kingsland Properties assist you through the selling process.